Yes, as usual I am behind reading The Horn Book. The July/August issue is floating around here somewhere. I've finished the May/June special Transformations issue, though. I'm not a big fan of theme issues of anything. However, there were some articles that grabbed my attention in this one. From Series to Serious by Thom Barthelmess. This made me understand the value of series fiction, the kind I haven't paid that much attention to in the past. What Makes a Good Nonfiction Adaptation? by Betty Carter. This was about creating childlit adaptations of adult nonfiction. Alice, the Transformer by Monica Edinger. This is a neat account of using Alice in Wonderland in the classroom. Among the magazine's reviews were many for books by authors whose names we see a lot in children's publishing. 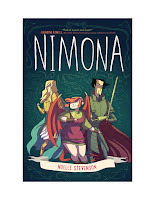 Among the reviews for authors I hadn't heard of, one I found particularly interesting was the review for Nimona, a graphic novel written and illustrated by Noelle Stevenson. 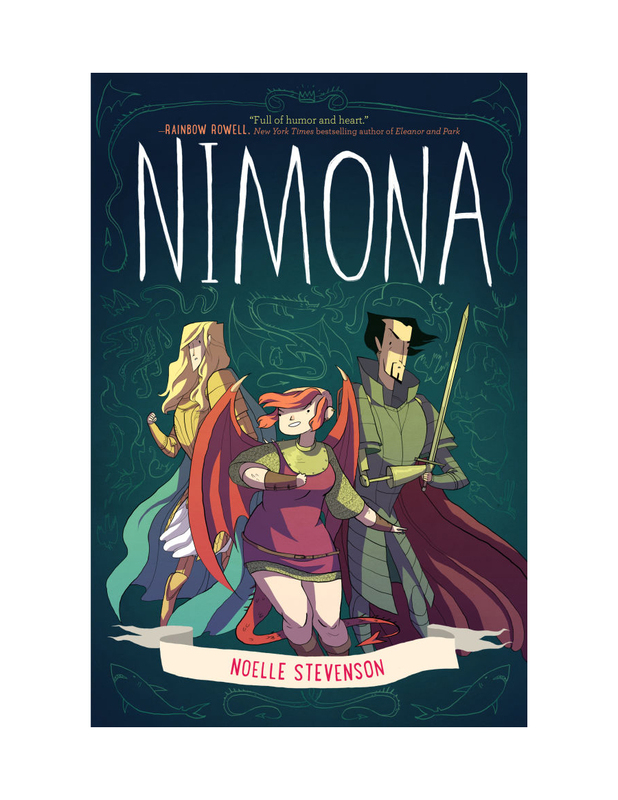 It "tweaks both the science fiction and fantasy genres." And look! You can read the first three chapters on-line. Okay, people. 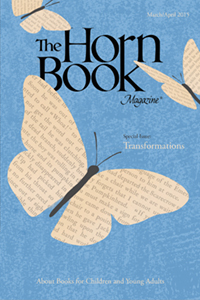 You are ready to move on to the new issue of Horn Book.